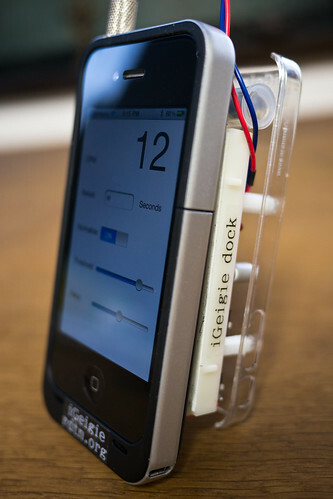 iGeigie – world premiere of a portable Geiger Counter with iPhone dock. – Ability to call the iGeigie and listen to clicks ! Visit www.rdtn.org and support our Kickstarter project kck.st/hMXtdM to build a hardware monitoring network for radiation in Japan.